The fifth installment of the Under Suspicion follows television producer’s Laurie Moran investigation of the unsolved murder of a celebrity physician. A stunning domestic thriller in which a woman must make the impossible choice between defending her husband and saving herself. The fourth installment of the Under Suspicion follows television producer’s Laurie Moran investigation of the unsolved Met Gala murder—in which a wealthy widow was pushed to her death from the famous museum’s rooftop. In the third installment of the Under Suspicion series, news producer Laurie Moran tries to prove that a young woman was wrongfully convicted of killing her fiance’. Twenty years ago she ruined his life. Now she has the chance to save it. A woman agrees to help an old boyfriend who has been framed for murder but begins to suspect that she is the one being manipulated. Alafair partners again with “Queen of Suspense” Mary Higgins Clark for the second book in the Under Suspicion series, featuring intrepid television producer Laurie Moran as she investigates the case of a missing bride. 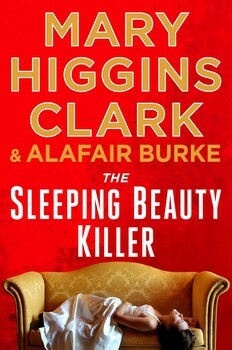 In a first-time collaboration, “Queen of Suspense” Mary Higgins Clark partners with bestselling Alafair Burke to launch a brand new suspense series about a television program featuring cold case murders. Manhattan journalist McKenna Jordan is chasing the story of an unidentified woman who pulled a teenaged boy from the subway tracks. When she locates a video of the incident, she is shocked to discover that the mystery heroine bears a strong resemblance to Susan Hauptmann, a close friend who disappeared without a trace a decade earlier, shortly after introducing McKenna to her husband. What would have been a short-lived metro story sends McKenna on a dangerous search for the missing woman—a search that will force her to unearth long-buried truths much closer to home. NYPD Detective Ellie Hatcher is convinced a young girl’s death is suicide, but she knows from personal experience that a loving family can be the last to accept the truth. When the Whitmires use their power to force a criminal investigation, Ellie’s resistance causes trouble for her both at work and in her personal life. After a layoff and months of struggling, Alice Humphrey finally lands her dream job managing a new art gallery in Manhattan’s trendy Meatpacking District. Everything is perfect until the morning Alice arrives at work to find the gallery gone—the space stripped bare as if it had never existed—and adead body on the floor. Overnight, Alice’s dream job has vanished, and she finds herself at the center of police attention with nothing to prove her innocence. When New York University sophomore Megan Gunther finds personal threats posted to a Web site specializing in campus gossip, she’s taken aback by their menacing tone. Someone knows her daily routine down to the minute and is watching her — but thanks to the anonymity provided by the Internet, the police tell her there’s nothing they can do. Her friends are sure it’s someone’s idea of a joke, but when Megan is murdered in a vicious attack, NYPD Detective Ellie Hatcher is convinced that the online threats are more than just empty words. In a city full of victims . . . it’s hard to choose just one.